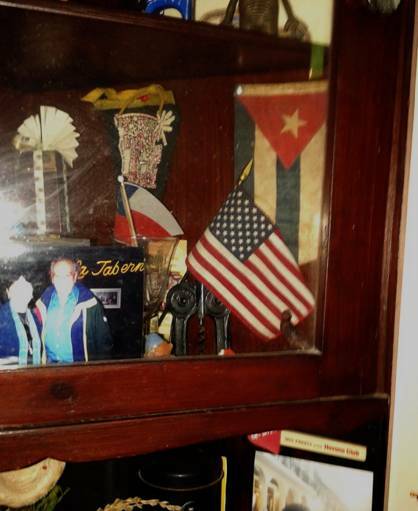 Rebeca Monzo, 27 June 2015 — Strolling through the streets of Havana, it is odd to see the profusion of American symbols on clothing, flags, decals, handbags and other items. While walking in the vicinity of Yara cinema in Vedado recently, I happened to notice with some amazement a cart selling slushies. Such carts are not allowed to park for more than a minute. They must be in constant motion or risk getting a fine, a stupid rule since it requires customers to run along behind the vendor. At any rate, this same cart was sporting two American flags of considerable size on both its front sides. Too bad I did not have a camera to capture the image. Young people of both sexes often wear shirts, tights and shorts with the design of this flag. Even infants are dressed in baby clothes decorated with the Stars and Stripes, which incidentally, is a rather attractive design. Our media outlets never tire of highlighting news stories by criticizing and even misinforming the Cuban people about events in the U.S., which are often similar to events happening in our own backyard but which are never discussed. To think of all the “incitement of hatred” over the years against this country, with which the government now wants to reestablish relations because it finds itself “with a noose around its neck” economically. The only thing all this negative propaganda has managed to achieve is a result opposite of what was intended, as more and more people of all ages — especially young people — prefer to risk their lives fleeing the country by crossing the Florida Straits in flimsy boats. Similarly, an ever-growing number of Cuban doctors now use medical missions in other countries as a springboard to the United States. The children and relatives of senior leaders are also following this path, though they make the journey to the same destination by plane, demonstrating once again that the forbidden never loses its allure. Sent: Thursday, June 18, 2015, 4:56 p.m.
I’m forwarding you these two articles (Alpizar, Ravsberg) with the intention of distributing them to as many people as possible, since we should immediately demand the enforcement of laws protecting plants and animals, the urgent creation of new laws in this area, and the imposition of severe punishments on all violators. Colleagues, can anyone disagree with the ideas expressed in this article? Unfortunately, there are no laws in our country protecting animals from abuse, as there are in other countries. In the countries where such laws exist there are parliaments. Parliaments legislate, making the laws. And parliaments are composed of deputies. Those deputies were chosen in elections and have commitments to those who elected them. These laws exist because the deputies proposed and approved them, and thus the officials are obligated to abide by them. These laws exist because the deputies in those countries know that they must fulfill their commitments to the voters. Having commitments to voters does not mean that they are only accountable for their promises. The elected members, above all, have to respond to the concerns and demands of the voters, even in an electoral system such as ours, where there are no pre-election promises. Because they were elected and have commitments to their constituents, those deputies don’t wait around until some minister or official proposes a law to approve it, as happens in our system (I say “approve” speaking of us, because I don’t remember any case where our deputies have rejected a proposal by the government, as does happen in other countries). Those deputies initiate legislation, as delegated to them by the Constitution, the supreme law of a nation, which no official, minister, or even president can ignore, upon pain of dismissal. Our Constitution also gives to the deputies, as representatives of the people, the legislative initiative. But I have not the slightest recollection of any law that arose at the initiative of our deputies. It is simply time for us to demand that Cuban deputies exercise the legislative initiative in the National Assembly. They are required to listen to us and comply with our mandate. Just as we have the right not to vote for them if they do not carry out that for which they were elected, including initiating laws. We have no reason to follow this or that official around trying in vain to get his attention. The official doesn’t answer to us, but to his boss. The deputy, however, does answer to us; we are the ones who elected him. We should demand this of him (which we don’t). To begin with, we should get in touch with our deputies, who were elected by our neighborhoods, and demand that they satisfy that for which they were elected, or we will withdraw our support. It is all too common in the city for us not to know who our deputies are or how to contact them directly: they are just three names that we’ve been told to vote for (because they are all worthy). But we, the members of UNEAC (National Union of Writers and Artists of Cuba), have deputies that we know, who belong to the organization, our colleagues, who represent the intellectual sector in the National Assembly. So in all of our meetings let us demand that these deputies fulfill what they were elected for. And let us be clear: If you do not represent us you have no reason to stand for election on our behalf. Let us demand that the deputies who represent UNEAC propose at the next session of the National Assembly not merely the law on protection of animals that is so justly sought. Let us also demand that they submit to the next Assembly the Film Act, the Consumer Protection Act, the amendment to the Law on Associations . . . and many other legal instruments that our country needs urgently to create or revise. And that they meet with us (when I say us I don’t mean only the National Council of UNEAC) before going to the National Assembly, to take note of our ideas, as people who work and think like we do, and take to the Assembly our concerns and proposals about the short and long-term future of our country. Including, of course, the concern that many have expressed about the idea of filling Cuba with golf courses, a threat to our ecology and, in the not very long term, to our economy. Other members of other sectors of the population should do the same with the deputies these agencies put forward for election, but that’s their business. We at UNEAC are obligated and able to work on legislative initiatives for the deputies we elect to present on behalf of our industry. Or to not re-elect them. For now, why don’t we make a list of the current deputies put forward by UNEAC? Let’s start there and write (everyone!) to their electronic addresses, sending our proposals, so no one can say they were unaware of them. Let’s also push for the deputies of the arts sector to meet with us to talk face-to-face about the country’s problems. Undoubtedly some of you smiled and thought that what I have written is pure idealism, but … does anyone have a better idea? Let’s try this. Demand that our deputies submit our ideas to the National Assembly. These are not parochial ideas, they relate to everyone. Rebeca Monzo, 22 May 2015 — A little over a year ago our friends Reinaldo and Yoani came for a visit to tell us that, finally, the long-cherished dream of starting an independent newspaper was about to be realized and to ask us if we would be interested in contributing articles. We, along with others, enthusiastically began making our modest contribution and the dream quickly came true. 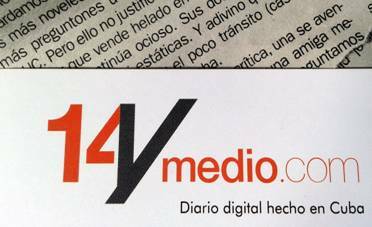 On May 21, 2014 the first issue of the digital daily 14ymedio was published. Yesterday, we all gathered at the newspaper’s headquarters: the founders, the staff and the contributors. We had a delightful evening of conversations and discussions in which the main course consisted of new suggestions and ideas to further improve 14ymedio.com. *Translator’s note: The title is a play on words. In Spanish, 14 y medio literally means fourteen and a half. The word medio can mean either half of something or medium, as in the medium of television. Rebeca Monzo, 19 May 2015 — The year was 1985. I was still working at a state agency, like everyone in our country, and there was talk in the Cuban media about an “enemy” radio broadcast that had been named, improperly, Radio Martí. This generated fierce government propaganda against it, above all, for having baptized it with the name of the “Apostle,” (as Cubans call José Martí) which the Cuban misgovernment feels it owns absolutely. As could be expected, like all human beings we relish forbidden fruit, especially in the case of a source of information whose censorship is imposed by a totalitarian regime. My curiosity grew and I gave myself the task of finding a formula for reaching it. Availing myself of an old shortwave radio I had been given (its sale in stores was forbidden), I succeeded, crossing the dial from one extreme to the other over and over again, finding the outlawed station right next to the famous Radio Rebelde (Rebel Radio), which inflicted intolerable interference on Radio Martí. But in my persistence I managed to discover that, by gently moving the device to one side or the other, I could capture quite clearly the forbidden voice. From that glorious moment, my life changed. I became aware of what was happening inside and outside our borders. But above all, I was happy to leave behind the manipulative official rhetoric. Because it was very difficult for me not to occasionally drop a controversial comment at my then workplace, influenced of course by this new source of information, I soon found myself in the administration’s spotlight. So in 1986 I decided to quit my office job and devote myself entirely to my artistic work as a way of life. Imagine my surprise and excitement when one day, as I was working in my studio with my ear glued to my favorite radio station, listening to an interview they were doing about an SIP (Inter American Press Association) event, I heard the unmistakable voice of a much-beloved family member, whom I had not had any contact with for 26 years. Despite the difficulties and intolerable interference, I became a faithful follower of this radio station, which opened a new window to the world of information. My sincere congratulations on your 30th anniversary of this great collective work, which over the years has made a recognized and valuable contribution, after providing information to all Cuban citizens, because even though it does not reach many, those who do manage to connect are responsible for disseminating it, changing the single view provided by the island’s official media. Rebeca Monzo, 4 June 2015 — One evening at the beginning of the “Special Period,” when I was meeting with friends at home, I told them to drink lemongrass tea, because coffee would now become scarce: “What I most regret is not the wretched goods that will be coming, but what wretches we are going to become,” speaking in general terms of course. Unfortunately this has happened, and on a gradually increasing scale we have thievery, deception, fraud, double standards, and many other social vices. Right now corruption cases on the island are alarming, at all levels: stealing and selling exam answers and graduation certificates, selling jobs, falsifying payrolls, and many others. Not to mention joint ventures, where the scams and their dividends reach into the millions. One that now has my attention is particularly painful, involving medications, because it plays dirty with the health of the population. 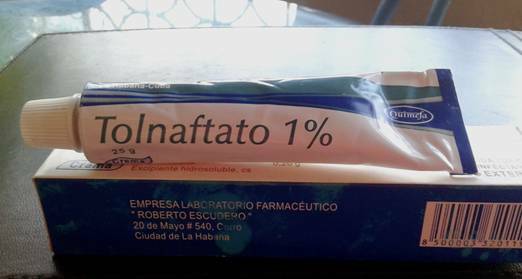 The daily Granma published a complaint on Friday May 29th, on page 11 (national edition) in the Letters section, from Yasser Huete, a citizen from Artemisa, who asserts that tubes of Tolnaftato (an anti-fungal skin cream) from the Roberto Escudero Laboratories, located at 20th of May Street, in Cerro, Havana, are more than 50% filled with air. From the time we were little, our grandparents and parents gave us spoonfuls of honey to cure our coughs, or anointed our minor injuries with a dab, or simply put it on our lips, chapped by the cold or a high fever. Its curative properties came down to us from our ancestors for hundreds of years. This natural substance has been used as a culinary sweetener since ancient times in many countries, and also appreciated for its curative qualities. 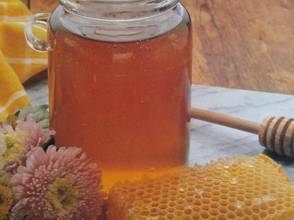 Treatment with honey is known as apitherapy and replenishes energy, increases physical vigor, and strengthens people weakened by illness or because of ongoing stress. Honey also promotes better sleep, as well as easing indigestion. Its principal components are simple sugars, fructose and glucose, water, pollen, organic acids, enzymes and various proteins. Honey contains only small traces of the toxins emitted by industries, autos and chemical products used in agriculture. Its carriers, the bees, act as a biological filter and die if they are exposed to toxins so they do not return live to the hives. It is a healthy stimulant, as the glucose has also been pre-digested by the bees that produce it. These simple sugars are rapidly and easily absorbed by human beings. If you use honey in place of sugar to sweeten tea or coffee, take care because of the high calorie content: a teaspoon of honey has 64 calories, while a teaspoon of granulated sugar has 46. There are many kinds of honey. Its characteristics are determined by the type of bee and the flower it has sipped in collecting the nectar. It is always advisable to look for honey produced by beekeepers who don’t use dangerous insecticides. It is important to read the labels with its components. Caution: Unpasteurized honey is dangerous for children because it contains a bacteria that is not harmful for teenagers and adults, but is for small children. Use of honey as a wound dressing: applied externally, honey cures minor cuts and abrasions, because it extracts excess water from the tissues and reduces inflammation. To do this, spread the honey on the would and cover it with a sterile bandage. It is a powerful home remedy that can be combined with medicinal herbs. Right now, honey with propolis sells in the Cuban market for 15 Cuban pesos, or almost an entire day’s wages, for a 240ml bottle. This product is highly recommended for diseases of the throat.